Located just outside of town bordering thousands of acres of federal land you will find this up north retreat. It has been updated with a new furnace, fresh paint, new floor coverings and a updated 3/4 bath. 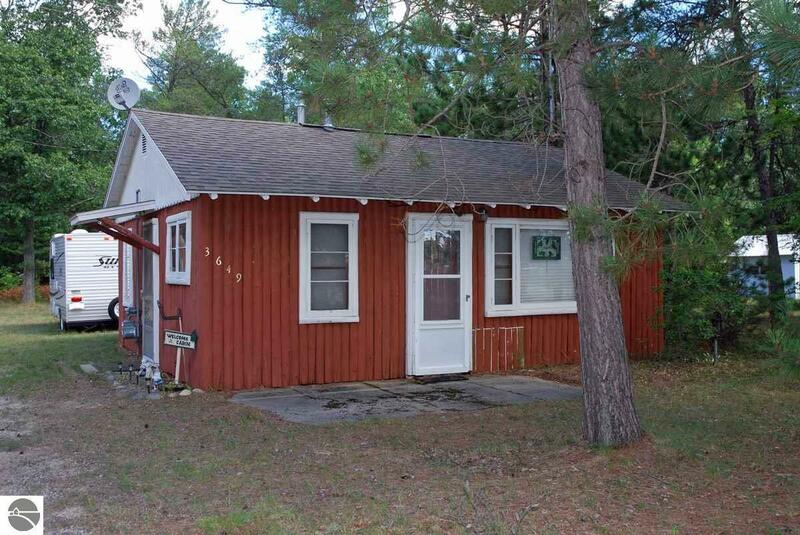 This property would make a great home base for your up North adventures. If you need a little more sleeping space, the seller will include a 2012 Jay Flight Swift Jayco camper that is 14' in length. The AuSable River is just a short walk right behind the cottage. Whether you enjoy nature photography, hunting or fishing there is plenty to do right out your back door. Eagle Run is also accessible from this location, it is a cross country ski trail that winds through the federal land. If you like to ride ORV's the Grass Lake Rd. Trail Head is also a short distance from this location. You can ride to the trails right from your back yard. Oscoda offers some of the finest sandy beaches on Lake Huron, several golf courses and access the mighty AuSable River. Call today for more details and this recreational getaway! Din Rm Size: 8' x 8'6"